Minecraft fans are all excited as Microsoft and Mojang announced to make Minecraft Minecon 2015 happen. While some skeptics thought that the game title's new owner would not sponsor the event, Microsoft announced that they would actually do whatever they can to further develop and promote the beloved virtual sandbox game. This is for the fact that the game has captivated gamers of all ages and of all races since it was first released in 2009. Minecraft players and fans are often referred to as Minecraftians, and ever since the game took the entire world by storm, these people would gather in an annual expo that is the Minecon. Unfortunately, Mojang failed to sponsor the event last year for undisclosed reasons. 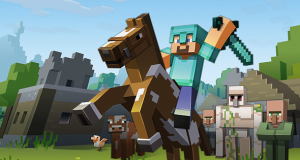 However, in one of their blog entries, the original developers of the game confirmed that they are making the necessary preparations to make Minecraft Minecon 2015 happen. The event would definitely mean much to all Minecraftians as the occasion would have a lot of things to go about like new announcements, latest updates, as well as the chance to meet and greet Minecraft's development team from 4J studios. As for the Minecraft creator Notch, there are no confirmations yet whether he will attend the expo or not. Then again, it is something that fans would like to look forward to. The much-anticipated Minecraft Minecon 2015 will be in London, England for two days (July 4-5). The dates are already confirmed, so this is going to be much of a good news to all Minecraftians. Tickets began to go on sale this month, with around 10,000 tickets already sold. In addition, Minecraft's latest TU(Title Update)21 is scheduled to roll out in North America on PlayStation 4, Xbox One, PlayStation 3, Xbox 360, as well as on PlayStation Vita. It carries out bug fixes for the issues on the previous update.